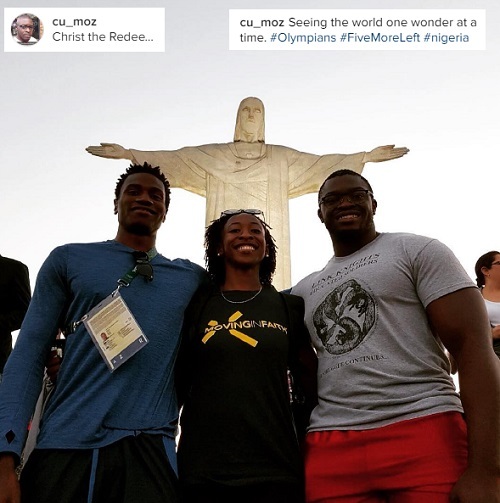 Just about 24 hours to go until the lighting of the Olympic cauldron, and our Ivy Olympians are making their way down to Rio de Janeiro. Fortunately for us, they decided to take some photos of their journey. For Team USA, they had to head to Houston, Tex., prior to traveling to Rio for Team processing, where they meet their teammates and receive the official Team USA gear. 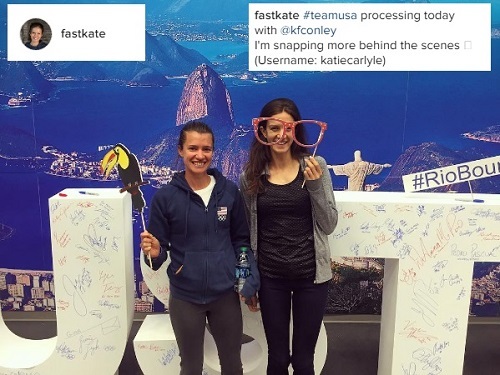 I’m guessing they get a LOT of gear based on Kate Grace’s tweet below; either that or she plans to bring home lots of Brazilian or Olympic souvenirs. 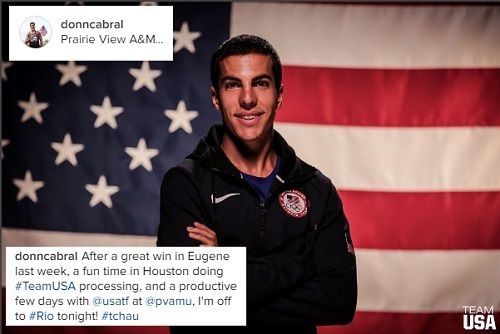 The Team USA gear is pretty sharp, or at least Donn Cabral makes it look sharp. 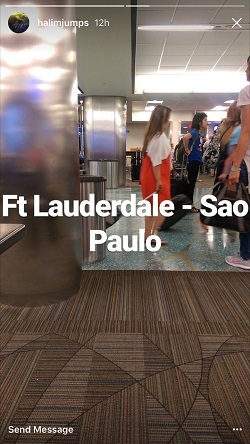 Muhammad Halim is using Instagram’s new Stories feature to document his flight to Brazil. 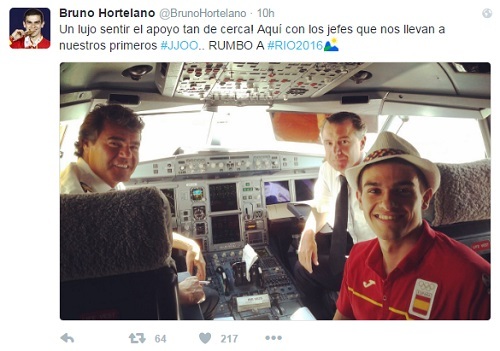 Spain’s Bruno Hortelano took the time to recognize some often forgotten people of Olympic travel – the pilots! … or check out the local landmarks. 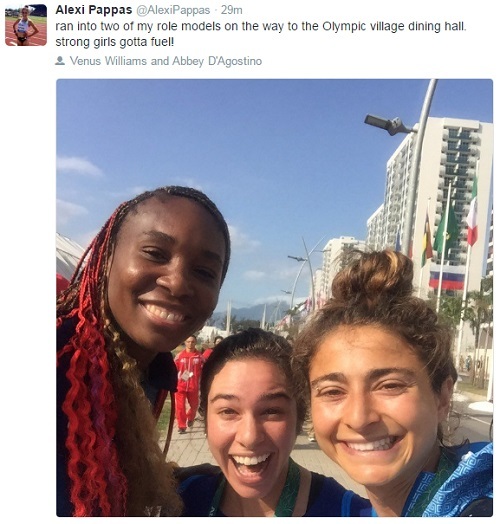 For more behind the scenes thoughts and images, follow your favorite Olympians on social media! 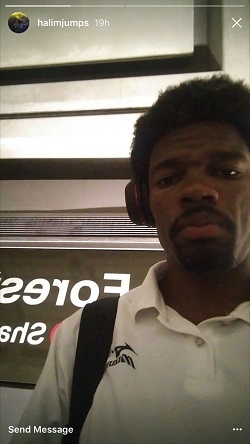 This entry was posted on Thursday, August 4th, 2016 at 6:00 pm. It is filed under Olympics, Spotlight. You can follow any responses to this entry through the RSS 2.0 feed.